In my post of June 18, 2013, The Historical Backdrop of Family Dysfunction, I reviewed Deborah Cohen’s fascinating book, Family Secrets, about the cultural forces and historical events in England that generated secrets within families. One of the themes of this blog is that the development of secrets within a family can have devastating effects on family relationships, literally over many generations. 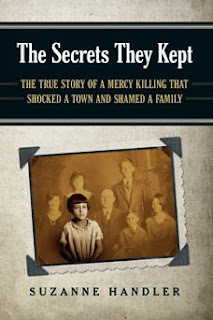 An excellent example of this is described in a short but beautifully written book by Suzanne Handler called The Secrets They Kept: the True Story of a Mercy Killing that Shocked a Town and Shamed a Family. The secret had a highly negative and significant effect on the relationship between the writer and her mother. When the author learned of it, suddenly much of her own behavior, as well as that of her mother, made a lot more sense. I find this happens with my patients in therapy. For generating true and lasting behavior change, it is almost always more important that patients gain insight into their family dynamics than it is for them to gain insight (a la psychoanalysis) into themselves. In this case, cultural and societal attitudes towards, and the treatment of, the seriously mentally ill was a prime factor in both the formerly secret event as well as its aftermath. When her own son was graduating from college, the writer was suddenly told about the secret by an aunt through marriage. The aunt had promised the patient’s uncle that she would never tell, but the uncle had died. Learning about the secret shocked Ms. Handler to her core. She learned that her maternal grandfather, a man she had always had warm feeling for, had killed one of his own daughters, and then tried unsuccessfully to kill himself. The date was August 16, 1937. The place was Cheyenne, Wyoming. The cultural group was an Orthodox Russian Jewish Community. They had found themselves in this somewhat strange place because their group had been diverted to Wyoming from the usual immigrant placements on the East Coast by a Jewish organization. The mental illnesss of the then 16 year old sister, Sally, had been called “dementia praecox” by the local doctor – an illness now known as schizophrenia. The girl was on the verge of being committed to the main state mental hospital after two suicide attempts, one of which involved trying to burn down the family’s home. Both the grandfather and this aunt knew what was in store for her at the state hospital. 1937 was in the days before antipsychotic medication, and a commitment was basically a life sentence. And certainly not something to look forward to. Although the author, who is a journalist, was unable to find descriptions of the hospital milieu at this particular facility during the relevant time period, in general the treatment of the mentally ill in most state institutions was ghastly. This in spite of the efforts of crusaders like Dorthea Dix and Nellie Bly. In institutions across the United States, inmates were often left filthy and naked, given almost inedible food, frequently beaten by the hospital staff staff, and experimented upon with various “treatments” which could be nothing short of barbaric. Apparently with no way out, Sally begged her father to kill her. When he initially refused, they decided to arrange a suicide pact. After shooting the girl, her father shot himself twice and then stabbed himself - but somehow lived. He never served any jail time, however. The prosecutor took note of the unusual circumstances of the murder and agreed that he was unlikely to harm anyone else ever again. He was given a suspended sentence and probation. After learning of the family secret, the author set out to find out more about what had happened. The story had been all over the local newspapers at the time, but little was said there about how the family fared after the trial. There were only two living people who were alive at the time of the incident and who could shed light on that – the patient’s mother and her youngest brother, and they were not talking. Their responses were telling. Mother at first said, “I never want to read or talk about this again.” (Later she did relent just a little and revealed some minor tidbits over the years). The patient’s uncle was even more closed off. He, “…turned to me, and in a voice that was ice-cold and laced with anger, he muttered under his breath: “Don’t ask me about Sally again. I will never discuss her. Not now and not ever!” (p. 43). What could possibly account for this conspiracy of silence, especially since all of the other parties directly involved were deceased? Certainly the shame the entire family must have felt in their tightly-knit minority community had been staggering. There were a number of reasons for this. First of all, no one at the time understood mental illness, and there were all sorts of very negative cultural myths about it. Second, Jewish law and ethics forbid both euthanasia and assisted suicide. Third, and perhaps most important, because of their history in Russia of being a hated and persecuted minority, this community’s mindset was to keep a low profile whenever possible. Their philosophy was to do nothing to bring on negative criticism or trouble. This particular family had already brought shame to themselves in the eyes of their community because shortly before the killing, the mother’s oldest sister had done the unthinkable. She had married a gentile. In response, the family “sat shiva” for her – a ritual used to mourn the death of a family member. Soon after the grandfather's sentence was handed down, the whole family pulled up roots and moved to California. The writer’s mother married her high school sweetheart, the writer’s father, only four days after the trial ended and headed for California the very next day - dining on foods prohibited by kosher law all through the trip! They may have had to marry quickly because, according to a widely circulated rumor, the shame on the family was about to lead to the writer’s father being prohibited from marrying Mom by his own family. In her entire life, the mother went back to Cheyenne only once. The writer’s descriptions of her grandmother, Sally’s mother, were also very telling. She lived out her days totally devoid of expression. She often sat staring out her favorite window, never answering a door or making a phone call to the writer’s knowledge, and not keeping house well. (There was some indication that the community from which she came had thought her odd even before the killing). Mother seemed uninterested in her. Moreover, Mom’s days seemed joyless, as if she were prohibited from enjoying herself. This attitude rubbed off on the author. As anyone faced by inexplicable parental behavior would when there is no obvious explanation for it, the writer “...made all my assumptions [about her mother] based on ignorance.” She naturally felt that her mother did not seem to like or want her. How could she know that her mother may have felt guilty that she had not been able to protect her younger sister? That had actually been her job when Sally was being teased at school because of her odd behavior and dark complexion. It also seems likely that grandma became quite depressed, and she clearly had difficulties relating to her own daughter, the writer's mother. Because of the stonewalling about the incident by the living, the author’s inquiries into the events often raised more questions than they answered. This was also a bit of a frustration for me as I read it, but I am certain that my frustration was absolutely nothing compared to that of the author’s. 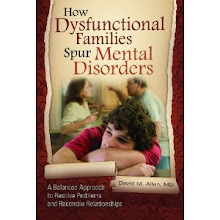 Besides your own book, are there any general books on family dysfunction that you would recommend for adult patients who struggle with family-of-origin issues? 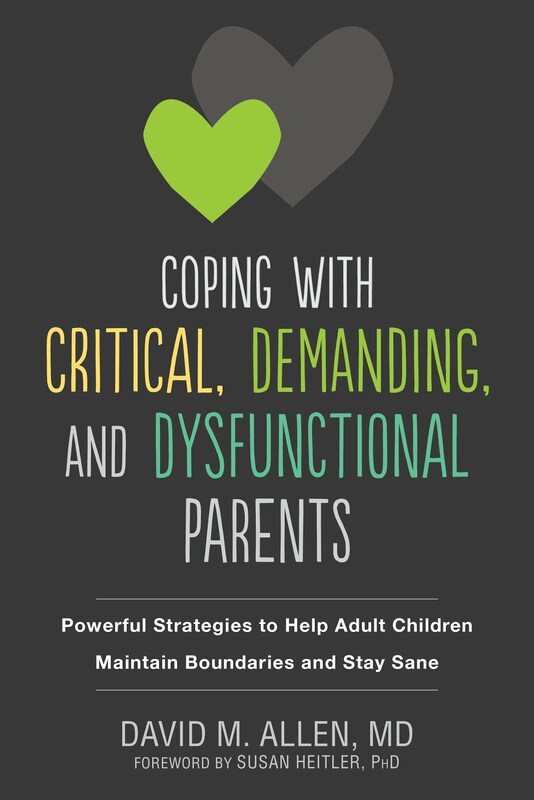 There are many different takes on the nature of family dysfunction and disparate advice on what to do about it. There are a lot books out there for lay readers but I'm not familiar with most of them so I hesitate to make any recommendations. There is one good book for general readership about Bowen Family Systems theory, the theory from which my own model, Unified Therapy, is derived. 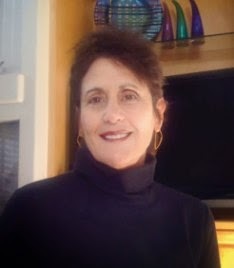 It's called "Extraordinary Relationships: A New Way of Thinking About Human Interactions" by Roberta Gilbert, M.D. That might be a good place to start. I also recommend "Extraordinary Relationships"
Regarding family secrets, my dad once revealed that he felt guilty because, as a child, he didn't protect his mother from his verbally abusive father. Fast forward to when my dad raised our family, where he became a maniac (and abusive in the process) at "protecting" our mom from we the kids. It's amazing and tragic how secrets one never reveals have profound impacts on many others' lives. God Bless Sally and God Bless Granddad - a mercy killing on Mercy Street. 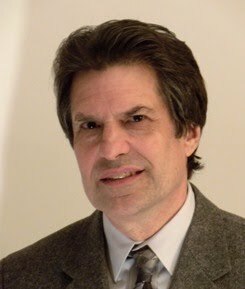 Erin Sullivan's 2001 book, "The Astrology of Family Dynamics" is worth a look; when all other theories fail.